The Plateresque style, a purely Spanish version of Renaissance sculptural ornamentation and architectural design, comes to life in this museum, a former hospital for children. Opening times Monday to Saturday from 10:00 to 19:00; Sundays and holidays from 10:00 to 14:30. 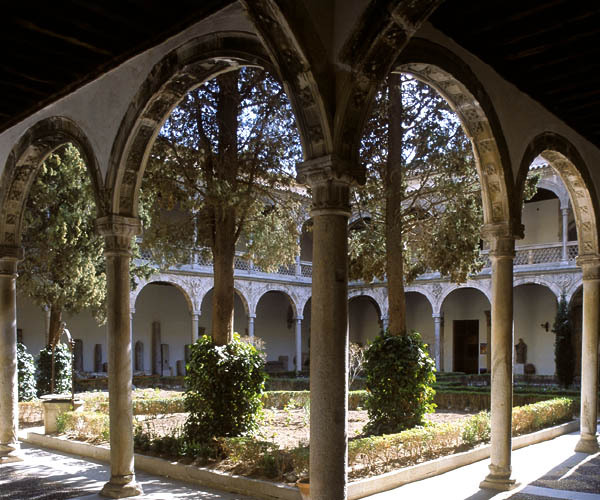 The Museum of Santa Cruz is housed in the former Hospital of Santa Cruz, a palace converted into a hospital for orphaned and abandoned children by Cardinal Pedro González de Mendoza, who received a papal bull for its construction in 1494. 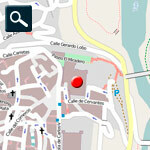 Refurbishment work took place between 1504 and 1515 under the supervision of the architect Enrique Egas. The floor plan is in the form of a Greek cross. 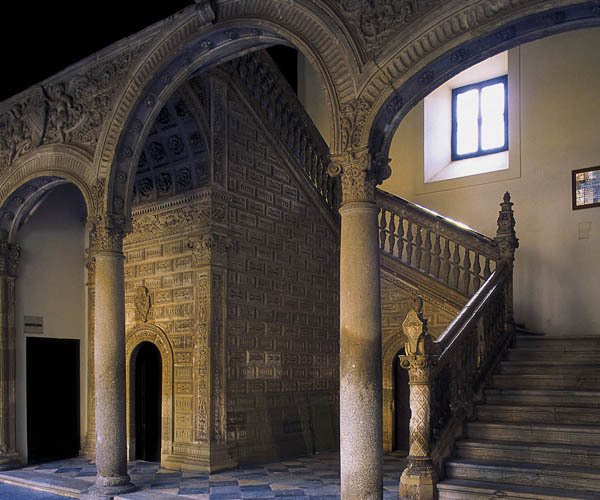 The arms conform two long bays or naves of two stories with beautiful Mudéjar coffering. These bays are crowned at their intersection (the central transept) by a starry-vaulted dome. Works were interrupted for a period and when they started again the Renaissance style – only recently introduced to Spain – was applied. The building thus became one of the leading exponents of this artistic trend and of its Spanish version: the Plateresque style. 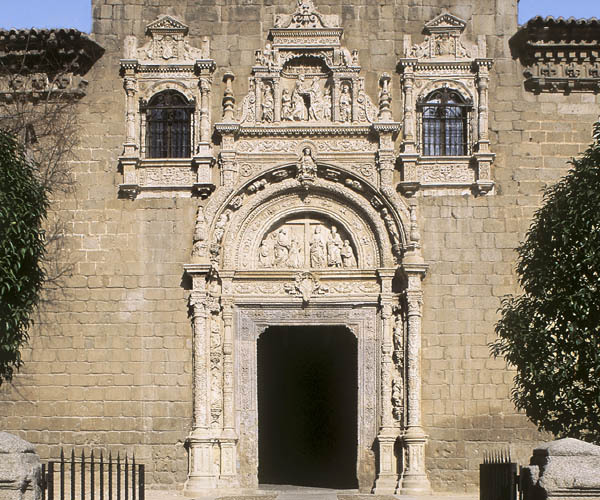 Alonso de Covarrubias was responsible for supervising this second phase from 1524, during which the facades, the main patio (of four in the final building), the staircase and the vestibule doors were built. 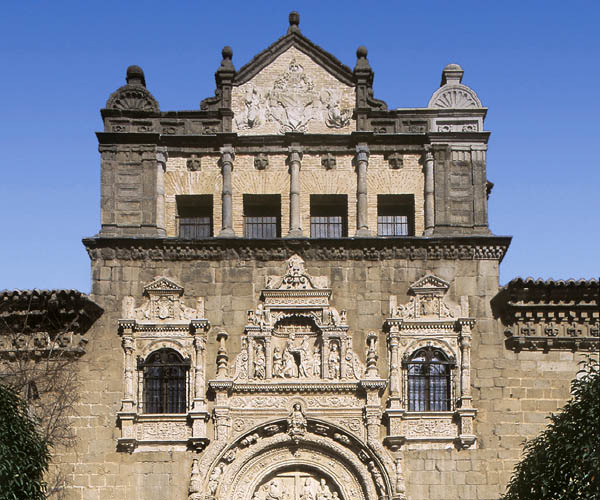 The main access facade of the building, which shows a wealth of detail combined in a harmonious sensation of equilibrium, was designed as a facade-altarpiece and has Gothic features alternating with Plateresque decorative items by Covarrubias. The tympanum of the doorway features a bas-relief depicting a Holy Cross, St. Helena, St. Paul and St. Peter and a kneeling Cardinal Mendoza. This patio has two beautiful, airy galleries with semi-circular arches on the ground and first floors. The staircase curving up from the main patio is one of the building’s most striking features, with rustication and finely carved grotesques adorning each panel of the balustrade and its arches. Noteworthy in the upper gallery is the Plateresque doorway that opens into the exhibition rooms. Three sections are dedicated to the fine arts, archaeology and the decorative arts. The fine arts collection has noteworthy paintings, in particular, paintings by El Greco (St. Francis, St. Joseph and the Infant Christ and The Assumption) and also The Holy Family by José de Ribera,Descent by Luca Giordano and a Crucified Christ by Goya. Sculptures include pieces by artists such as Juan de Mena and other artists from the Spanish school. The other two sections contain a collection of textiles and liturgical apparel, a rich collection of jewels and sacred art and the splendid 15th century Flemish tapestry called the Astrolabe Tapestry – the only tapestry currently on show of the set of Flemish tapestries in the safekeeping of the Museum. The rooms, furthermore, are decorated with original period furniture, documents, manuscripts and coins.